Louie the Beagle has become a widely known hero figure for beagles everywhere. Here’s how Beagle Universe has turned a social media sensation into a giving campaign for rescuing beagles. Louie the Beagle began as a YouTube channel run out of Belgium. Soon, the beagles in it captured the hearts of a wide audience and gained recognition on Facebook, Instagram, and Twitter, too. Their cause is to prevent beagles from being in the hands of pharmaceutical companies. The BeagleCare Fund is sent to various beagle rescue organizations around the world every time their $500 goal is met. Without the online purchases and contributions of their global fandom, Beagle Universe would have struggled to reach their goals. 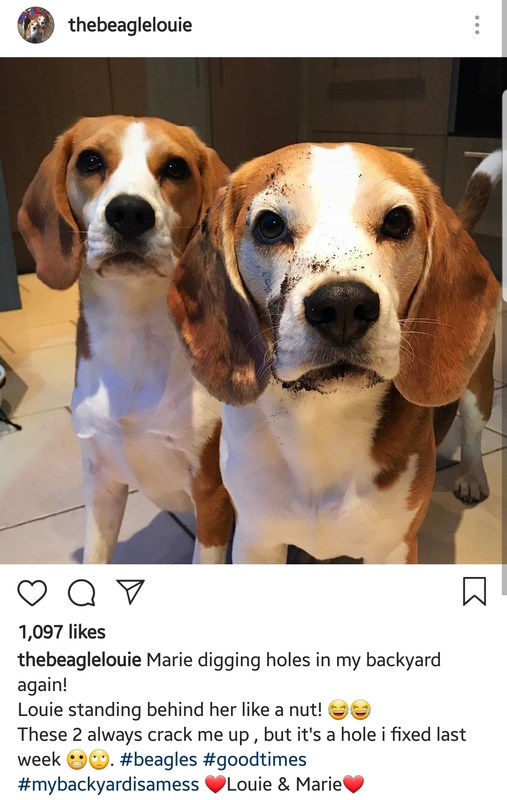 Beagle-lovers are able to find the Beagle Universe merchandise and donation pages through the reach of their social media channels. Louie the Beagle became a beacon for fans to give toward beagle rescue efforts. 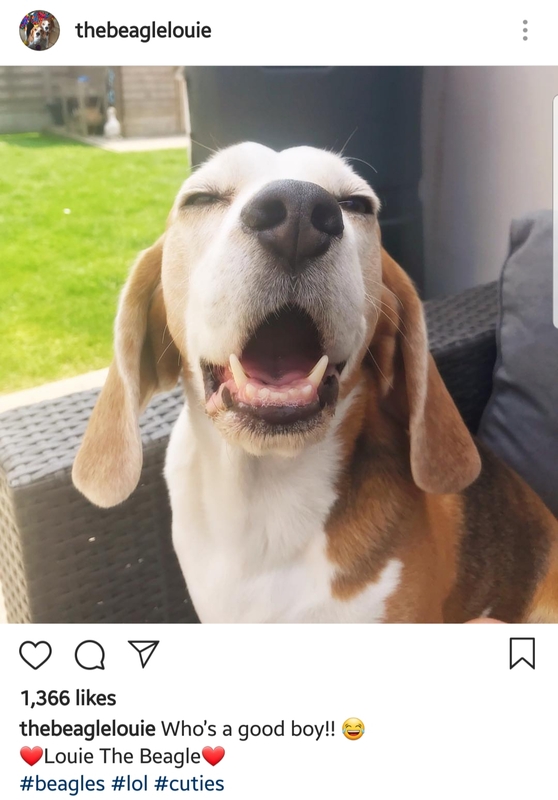 From the hundreds of thousands of YouTube subscribers to the thousands of Instagram, Facebook and Twitter followers, Louie the Beagle has developed quite an online presence. Beagle Universe was formed with two main sources for online giving. One is through purchases in their WooCommerce Store. A piece of the profit from every sale goes into the Fund, while the other portion goes to making more beagley merchandise. The other method is through their Give forms. They installed the free core version of Give when they launched the website about a year ago. Within just eleven months, they were able to reach their $500 goal three times. “We have raised $1,500 so far. This could sound like almost nothing, but without Give, we wouldn’t have raised any money… No handling, just install the plugin and let people donate.” – Kristof & Thomas, inspirers of Beagle Universe, proud beagle daddies and good friends. 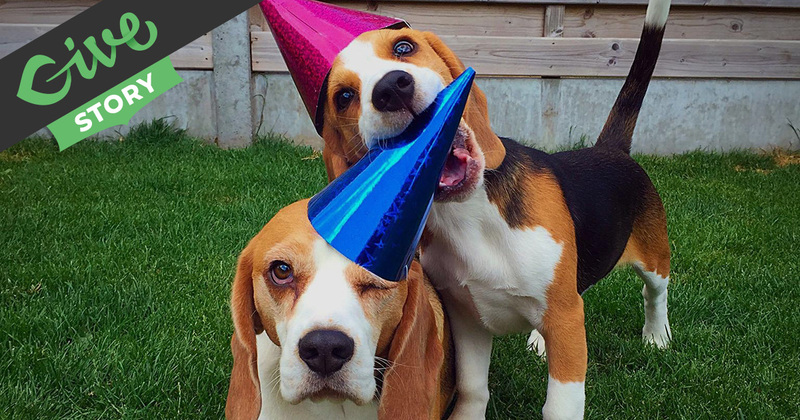 After Louie the Beagle launched BeagleUniverse.com in August 2017, donations seemed to stagnate around February of 2018. 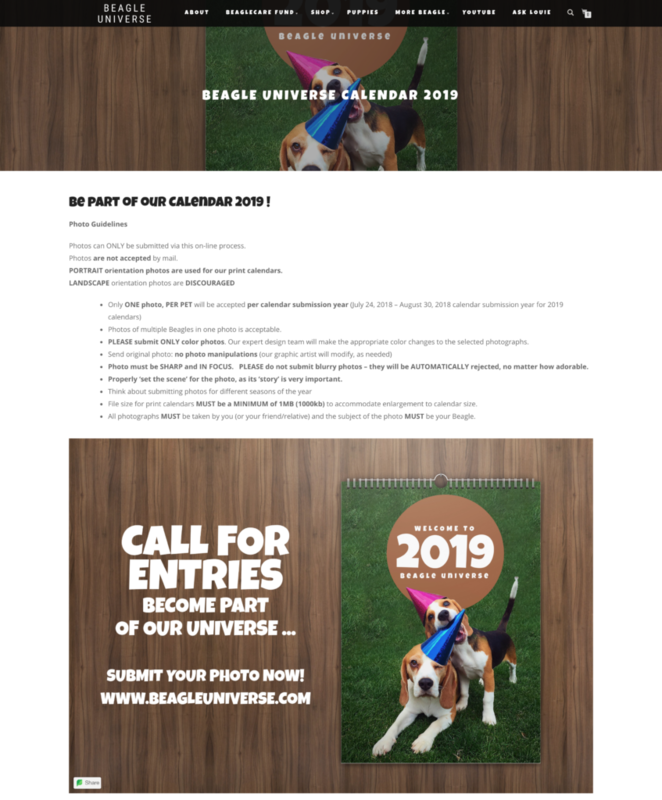 That summer, the team decided to publish a new page on their site with submissions for a 2019 Beagle Calendar. At the bottom of the page, they included a Give donation form for people to give while they submitted photos of their furry friends. This page was promoted across their social media channels. Within just five days of launching the calendar contest page, the $500 goal was reached and they had to publish a new form. So far, Beagle Universe has leveraged the free Give plugin to raise money for beagles everywhere. 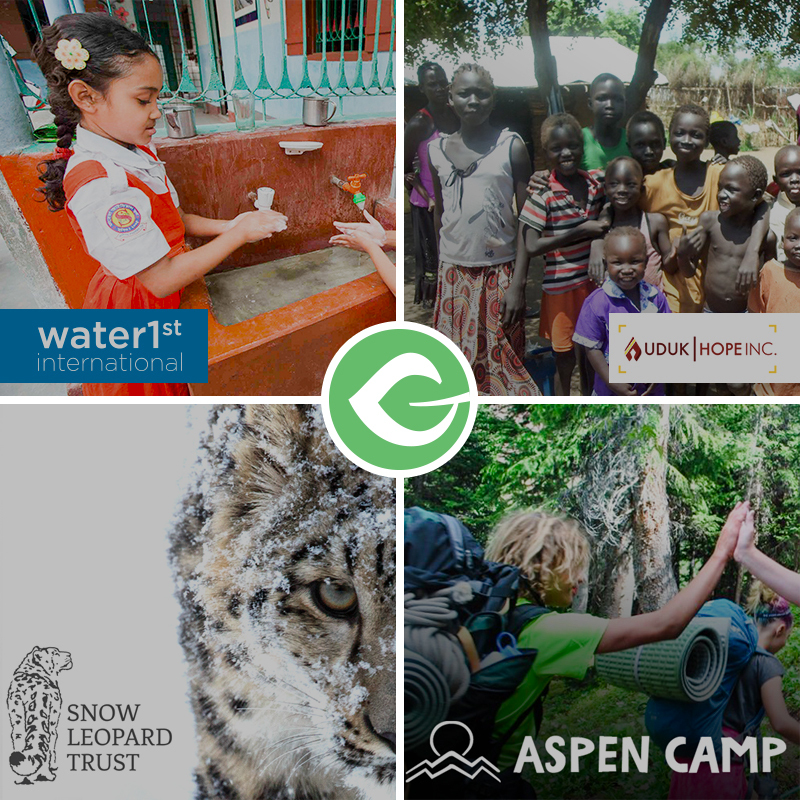 They plan to expand their use of Give with Donation Upsells for WooCommerce this fall, giving donors more opportunities to give. They also plan to add new beagle merchandise to their WooCommerce store. We can’t wait to see what they come up with and how Give helps them achieve even more of their beagle saving efforts. A major driving factor in the success of Louie the Beagle’s campaign is the introduction of new content. Their donor base comes from social media, where content is constantly changing. With the use of the calendar contest and new WooProducts, they bring in consistent traffic. Try regularly changing the content on your own website to reintroduce your campaign in new ways. You can provide new content in your site through blogging, new donation forms, adding media, and providing updates on where your donations are being used like Beagle Universe does. Giving readers, followers, and donors a reason to revisit your site for fresh content will also give them another opportunity to support you. Before you go, enjoy one more Louie the Beagle video.